We have all heard it before, write consistent blog posts, promote them, and revel in the number of website visits that will invariably end up coming in. However, all the positive effects of such a blog writing process takes time to materialize, generally in the scope of a couple of years. Realize though, that the business owners who stick to their blog like bees on honey will eventually have something that they can be proud of. We all know this to be true, but what sane person has the time to write all these blog post, not to mention, promote them? Successful business owners, that’s who! A blog writing program along with other aspects of an inbound marketing strategy is still the best way to bring in leads by using high-quality information and promotional tactics. Those who are able to set aside the time required to religiously write blog posts and promote them, while networking with others in the field should find that they are able to increase their sales over the course of their endeavor. Those who are looking to capitalize on more leads should begin an inbound marketing strategy, if they aren’t already doing so. There are a number of factors that go into such a pursuit and business owners should be on the top of their game in order to take full advantage of the number of clients who are just waiting to initiate contact. Show these clients the right direction to go by standing out in the field and capitalize on these leads. Those who are just starting their inbound marketing strategy should learn more about how to earn the most through this pursuit. Others who are already utilizing their marketing efforts in order to capitalize on leads should brush up on their techniques and review new strategies in order to increase the scope of their advertising program. A Tae Kwon Do expert realizes how to properly break a board and always splits it with the grain. These individuals understand that it is difficult, if not impossible, to break a board against the grain. An inbound marketing strategy is like breaking a board with the grain and is the easiest path to success. Those who understand how to perform this type of marketing correctly are able to bring in tons of leads. 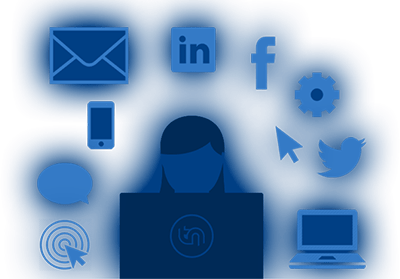 Since inbound marketing allows a business owner to convince potential customers to come to them instead of having to search them out, individuals who initiate contact are already interested in the offer being presented. Here we will go over certain techniques required in order to capitalize on an inbound marketing strategy.